YouTube is bound and determined to make it impossible to think it’s a company interested in freedom in any way. Once upon a time, technology companies were almost libertarian in their thinking. They were bound and determined to rewrite the rules by creating a virtual government-free zone on the internet. Anything could and would go, and there was nothing anyone could do about it. It was kind of beautiful. Today, though, it turns out that these once free-thinking companies were waiting for the opportunity to reach out and smash this emerging liberty with the iron fist of totalitarianism. 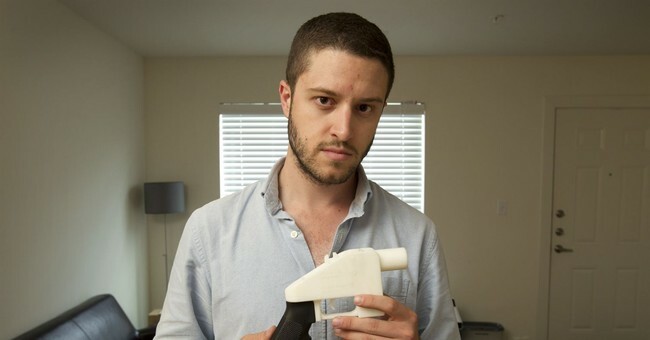 Why else would YouTube not just restrict gun making videos, but also Cody Wilson’s press conference and fundraising videos? An email from YouTube to Wilson’s company, obtained by the Free Beacon and dated August 31, 2018, tells the company it has violated Community Guidelines. YouTube claims that it’s justified because Wilson included a like to DefCad.com on the video’s page. Now, again–and I’m starting to feel like a broken record here–YouTube has the right to determine what kind of content it wants to host or not. That’s not the issue here. What is the issue is the capricious nature of these takedowns. They also took down a fundraising video by Wilson as he tries to raise money to help with his legal fees, which clearly violates none of YouTube’s policies. In fact, fundraising videos are common. A lot of YouTuber’s raise money for not just legal fees, but also as a way to make their living, so clearly asking for money isn’t a problem in YouTubeland. No, the problem is that Wilson wants to arm people, and YouTube wants to shut him out in any way they can. Oh, other companies use YouTube and aren’t having everything yanked, but I can’t help but think all of this is because Wilson is using its world–technology–to go against the narrative. If YouTube isn’t careful, it’s going to find its platform is little more than an echo chamber of leftist rhetoric while more interesting channels go to other platforms. Right now it’s not an issue, but MySpace felt pretty secure at one time too.